Mrs. MacKay is originally from New Hampshire, but moved to Florida in grade school. She graduated with a BA in Elementary Education from Belmont Abbey College near Charlotte, North Carolina. She has taught grades 1st through 4th grades in catholic schools in Charlotte, Memphis and now Indialantic. Mrs. MacKay has been married to Mike for 20 years and they have three beautiful daughters Mary, Annie and Megan. Their daughter’s are alumni of HNJ School and now attend Melbourne Central Catholic High School. 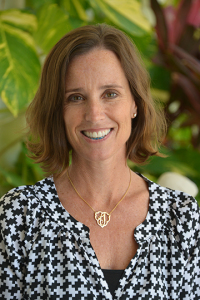 Mrs. MacKay enjoys traveling, reading, playing tennis, boating and watching her daughter’s countless athletic events. She is a passionate Boston Red Sox and New England Patriot fan.